Our courses are for adults and children, beginners or experienced from 7 years old. 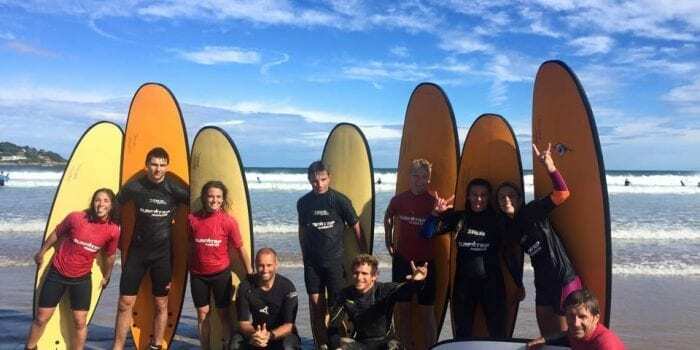 Our aims: Groups of 8 people maximum, made up of people from the same age group and the same level of experience, allow each participant to discover or perfect surfing techniques and to better understand mistakes in a friendly environment where everybody is having fun. 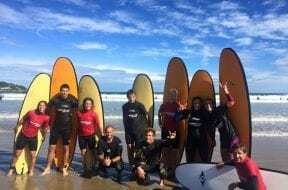 Our approach: During each session we tackle the technical aspects, recovery, manoeuvres, knowledge, the importance of the weather, the history of surfing, rules and the preservation of our natural environment. Your questions are welcome to complete your education. The practical exercises are predominantly during the course. 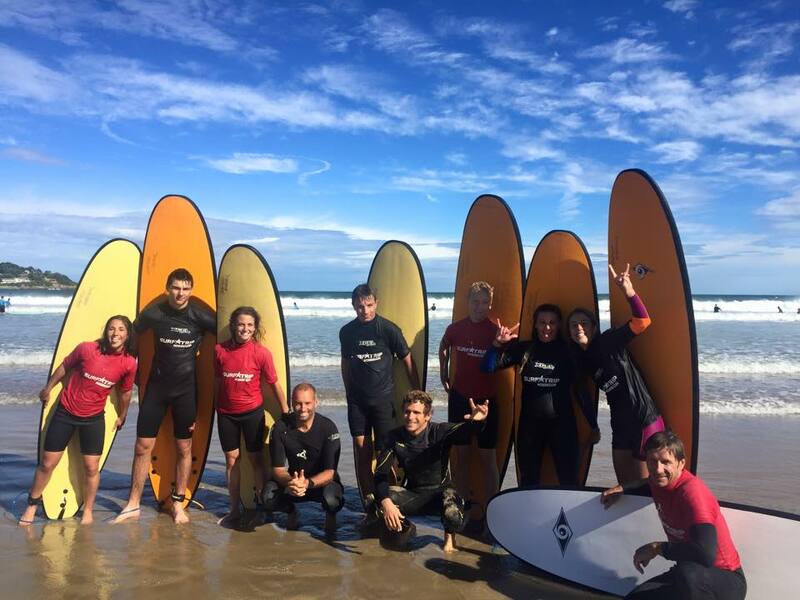 Our equipment: Renewed each year, you are guaranteed maximum safety and a board to suit everyone. Our store of resin and bic boards contains around 100 boards ranging in length from 5’3” to 12’7”. Integrated combinations of 4/3 and 3/2 for those who do not like to cold and shortys for the more audacious. Groups of 8 people maximum, the groups are by divided by age, level or family or friends. 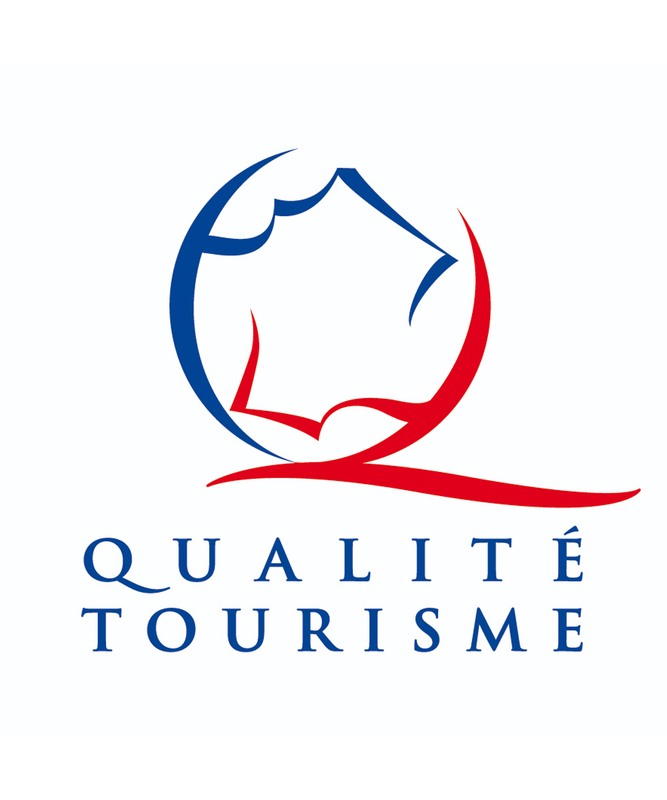 Transfert from reception to place of activity (time of transport not included). If the weather conditions are not favourable the class will be rescheduled or reimbursed. 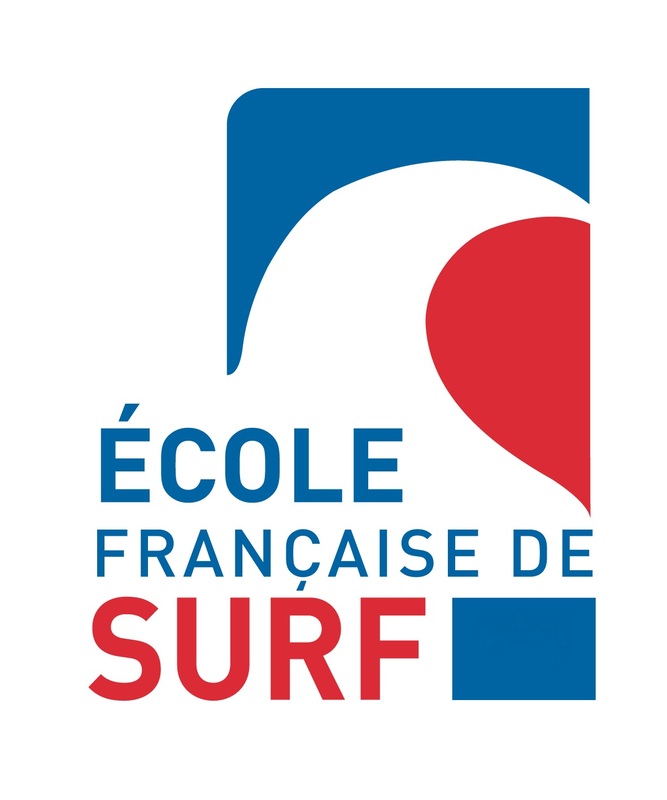 Lessons and courses are given in Hossegor, Seignosse or Capbreton.